"Witnessing the work and working method of artist, Peter Dudding has been like a hard slap to the face, or a good deep belly laugh, a smelly fart or a burp after a good meal - it's real and it wakes you up. 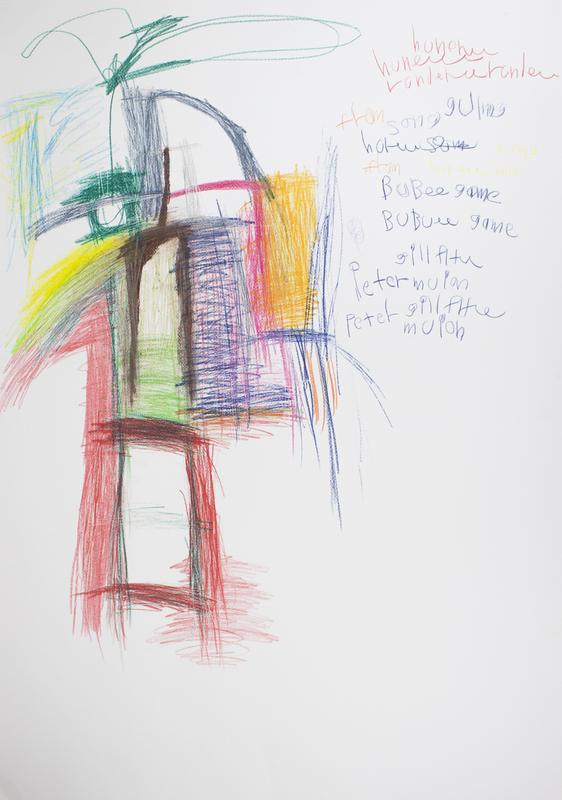 It’s many pages of musical colour, brutal scrawls and dancing marks is the outpouring of the inner workings of a man who has developed a rich personal language. His wild and uninhibited use of colour has been one of the most exciting things I have had the privilege to witness in a long time. 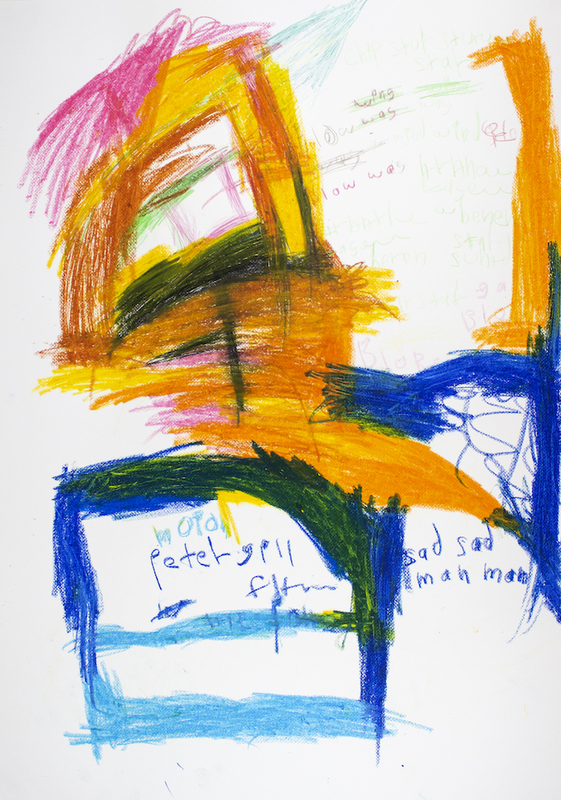 When looking at Peter's work I think of others who have worked in such ways; Jean Michel Basquiat, Cy Twombly, Jean Debuffet and in the now - Joshua Smith. Peter has an enormous body of work with a rich catalogue of personal iconography that Peter can pull forward when he chooses; pig dog, Heartbeat and/or Phantom of the Opera. In recent years with painting, we have seen a return to a kind of muddiness, a 'non-image', the abject, a kind-of riffing off of painting's recent history and a strong sense of play, joy of mark-making and the material presence of paint. Within this context, Peter definitely holds his own." 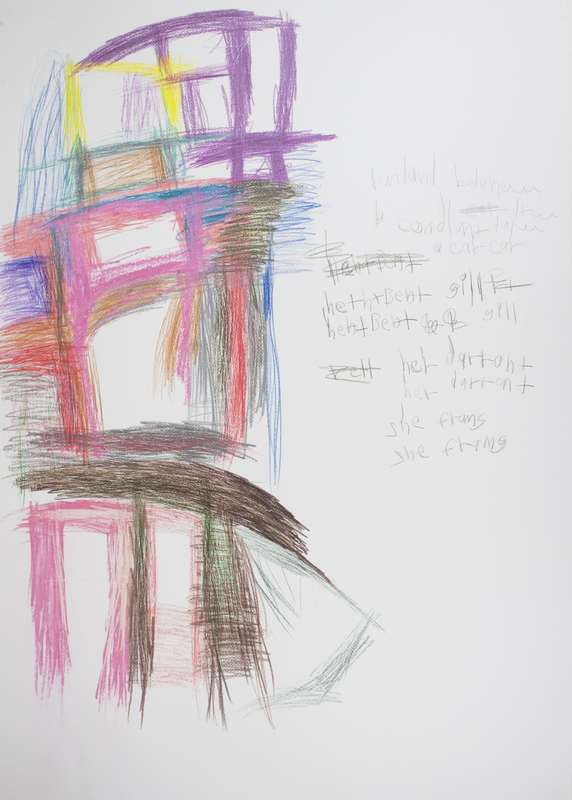 - Artist Paul Williams' reflection on the work of Peter Dudding. 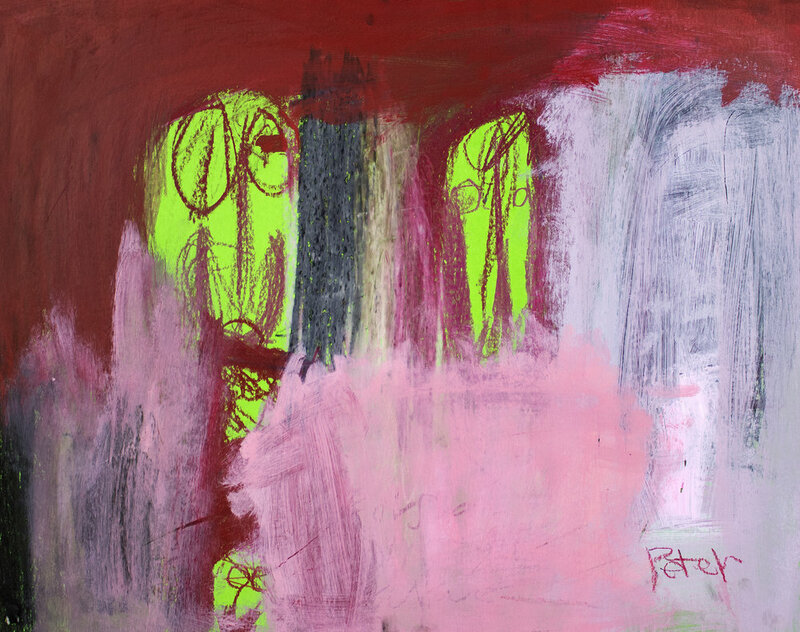 Peter is a prolific painter and drawer, master mark maker and ceramicist. Work by Peter is held in various collections including Artbank and in 2018 was an exhibiting artist at Sydney Contemporary, Carriageworks.